A cable provider sued by the state of New York for allegedly overpromising internet speeds has notified the judge that it intends to claim the state of New York conspired with a law professor and technology companies to bring the lawsuit. A Latham & Watkins lawyer representing Charter Communications, Christopher Clark, told the New York judge overseeing the case in a May 22 letter that Charter plans to present an unclean hands defense. The Hollywood Reporter has a story. Charter will allege that Columbia law professor Tim Wu worked with officials from private companies, including Google, to help New York’s attorney general investigate and sue. According to the letter, New York “delegated what should have been an objective law enforcement investigation to third parties whose pecuniary and political interests are adverse” to those of Charter Communications. The letter refers to an email sent to a colleague by a Google official that said she had spoken with Wu about the New York lawsuit. “This is all really confidential, obvs, but you’re in the cabal,” the email said. Charter is seeking a search of Wu’s personal emails related to the litigation and to unredacted witness interview notes about meetings of “cabal” members. “The importance of these notes has only increased as Charter has learned of the literal, self-described ‘cabal’ Mr. Wu formed” with individuals from Google, another company and a think tank, according to the letter. The New York Attorney General’s office responded in a May 29 letter that it has already produced or logged hundreds of relevant emails from Wu, and it has fulfilled its discovery obligations. It also provided interview notes for the court’s review. “OAG vehemently disputes Charter’s innuendo that the witness interviews could bear on an imagined conspiracy involving Professor Wu,” the Attorney General’s office said in its letter. Bass also notes that the policy has overwhelmed both the criminal justice system and the immigration courts. Children as young as toddlers are being forced to appear in immigration courts on their own, with no right to appointed counsel, Bass said. Children should stay with parents whenever possible and be kept in the least restrictive setting possible, the statement says. 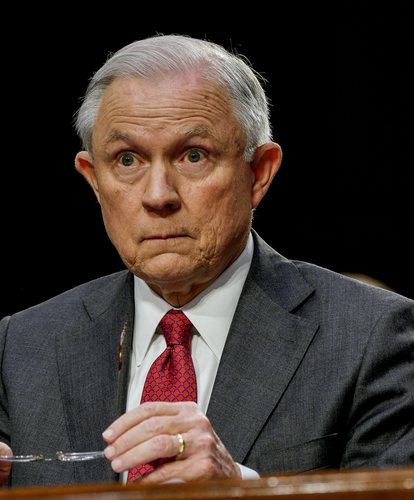 Attorney General Jeff Sessions announced the policy May 7, implying that such parents would be treated as human traffickers. In fact, the Washington Post reports, advocates for immigrants say many of these families are asylum seekers, whose treatment is governed by federal law and international treaty. To apply for asylum in the United States, a person must be physically in the United States or its territories, so crossing the border is a prerequisite. Non-citizens may file for asylum within one year of arriving in the country. 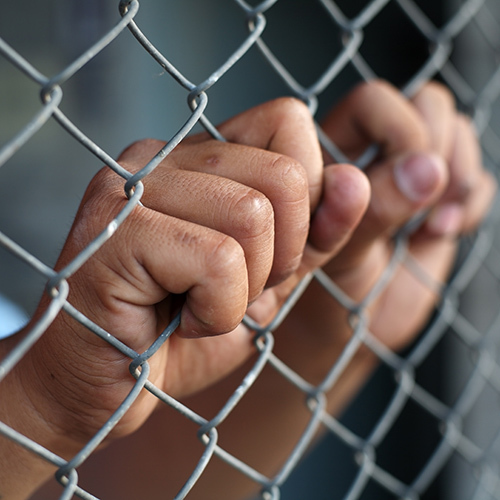 Such people, with or without children, are generally interviewed about conditions in their home countries and either released or kept in custody pending an immigration court hearing. According to the New York Times, the family separation policy was started months before the May 7 announcement and has resulted in at least 700 children being taken from their parents since October. That includes more than 100 children under the age of four. The American Civil Liberties Union is currently suing the Trump administration over the practice. That case, Ms. L v. ICE, concerns an asylum-seeking mother from the Democratic Republic of the Congo who was separated from her 7-year-old daughter. Lee Gelernt, deputy director of the ACLU’s National Immigrant Rights Project, echoed Bass’s condemnation in remarks to the ABA Journal. President Donald Trump tweeted last week that the family separation policy is a result of a “horrible law” passed by Democrats. In fact, as NBC reported, there is no such law and the policy is the work of Trump’s own administration. NBC says the family separation policy is a result of the Justice Department’s new policy of “zero tolerance” for immigrants who enter the United States without authorization, which is a misdemeanor on first offense. Posted by Contributor on May 31, 2018 in Elder Care | Comments Off on Has pro bono work helped you professionally? Can pro bono pay off? An article in the June ABA Journal magazine features three lawyers whose volunteer work—in aviation, employment and intellectual property law—has ended up sending paid work their way. This week, we’d like to ask you: Has your pro bono work helped you professionally? 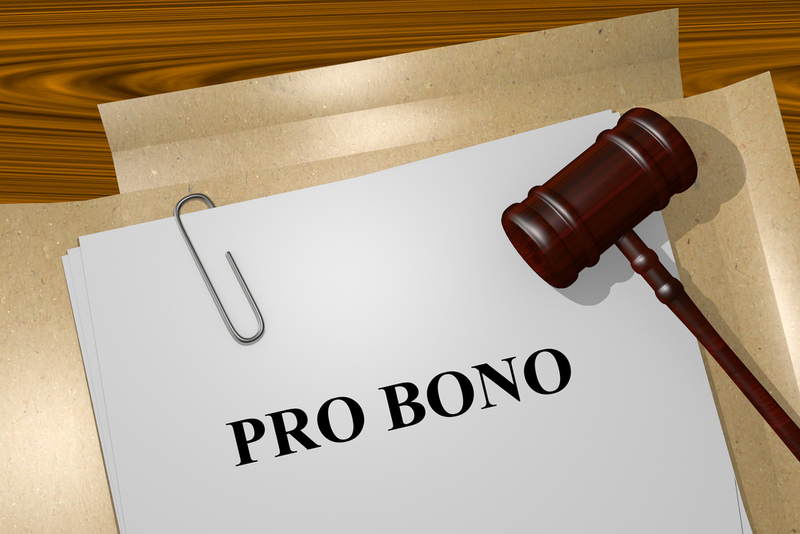 Did pro bono work ever lead to paid work? Did it give you valuable work experience you otherwise never would have had? Did it send you on a new career path? Answer in the comments. Read the answers to last week’s question: Do you believe you are fairly compensated for your work? Posted by Contributor on May 31, 2018 in Elder Care | Comments Off on Law firms hire company to send ads to ER patients’ cellphones; is it a HIPAA violation? Some personal injury law firms plan to use a technology called “geofencing” to send ads to cellphones of patients in emergency rooms, pain clinics and chiropractor offices. The Philadelphia-area firms hired a company called Tell All Digital to target patients using geofencing, NPR reports. The technology identifies people using cellphones within a certain location and then targets them with ads. Law firms in California and Tennessee are also testing the technology. University of Minnesota law professor Bill McGeveran told NPR that the marketing technique may feel intrusive, but it’s not a violation of the Health Insurance Portability and Accountability Act, a medical privacy law known as HIPAA. The law applies to hospitals, clinics, doctors and insurance companies, but not to lawyers and marketers, he said. “There’s lots of digital marketing and record-keeping that’s outside of HIPAA,” he said. Massachusetts Attorney General Maura Healey expressed misgivings about law firms using such marketing to exploit private medical information. She reached an agreement with a different digital marketing company last year that prevented it from using geofencing to target Massachusetts women entering Planned Parenthood clinics. The company had been hired by a Christian counseling organization that offered “choices” and “pregnancy help” to people entering the reproductive health clinics. Healey contended the ads would violate the state’s consumer protection law by intruding on private health and medical status. Trump’s request—rejected by Sessions—is being investigated by the special counsel, along with Trump’s efforts to get the attorney general to resign, the New York Times reports in a story based on anonymous current and former administration officials.